In today’s round of breaking news from Pakistan features a sad suicide bomb explosion in Quetta, Pakistan – where first the President of Balochistan Bar Association was assassinated and as he was shifted to Civil Hospital, Quetta where e succumbed to his injures, a suicide bomber blew himself up outside the hospital taking the lives of 60+ more people. Mr. President, we request you to recall the legacy of Mohtarima Shaheed Benazir Bhutto and her tireless efforts to improve the lot of Pakistani women, towards the goal of women’s empowerment and gender equality. Khawateen Mahaz-e-Amal (Women’s Action Forum – WAF) Pakistan expresses its extreme concern at the following recent events and reported Government moves, which have gravely negative implications for Pakistani women. WAF Pakistan is shocked, horrified and outraged at the appointment of Senator Mir Israrullah Zehri as a federal Minister. This is the man who is on record as having actually defended the barbaric and inhuman crime of burying women alive as “a traditional custom”. Zehri also threatened, on the floor of the Senate, Senator Yasmin Shah, who had the courage to speak out against the heinous crime. WAF is of the opinion that such beliefs reflect a blatant flouting with impunity of Pakistani law, according to which this heinous crime is murder with premeditated intent – a cognizable and non-bailable offence, which carries strong punishments. It is also a violation of the 1973 Constitution and the teachings of Islam. Five women were buried alive in Baluchistan a few months before as it was reported that the girls were at the house of Mr. Chandio at Baba Kot village when Mr. Abdul Sattar Umrani, brother of the provincial minister, came with more than six persons and abducted them with gun points. They were taken in a Land Cruiser jeep, bearing a registration number plate of the Baluchistan government, to another remote area, Nau Abadi, in the vicinity of Baba Kot. After reaching the deserted area, Abdul Sattar Umrani and his six accomplices took the three girls out of the jeep and beat them before opening fire with their guns. The girls were seriously injured but were still alive. Sattar Umrani and his accomplices hurled them into a wide ditch and covered them with earth and stones. The two older women protested and tried to stop the burial of the girls who were plainly alive, but the attackers pushed them too into the ditch and buried all alive. THEY NEED OUR HELP, SUPPORT AND ALL WHAT WE CAN DO, AS THEY ARE US, AND WE ARE THEM in this hour of their need. In the nearly 800,000 sq kms of land that covers all the vistas – from the parched deserts of Balochistan and Sind in the south to the peaks of K2 and Nanga Parbat in the north – from the (negroid) Makrani fishermen of the south to the blue eyed beauties of Kailash and Hunza – from the chattering elites, net journos and the do-gooders of Karachi, Lahore and other urban centers to the rural villages bereft of basic utilities – 97 % of the 160-170 million Pakistanis are united by their religion (Islam) and divided by the many gods they follow. Did I utter a blasphemy? Would you blame me for questioning when one group praising the Beneficent (Rehman) kills the other who believe in the Merciful (ar Rahim) ? How can the killer and the killed invoke the same Allah? AHRC PRESS RELEASE: The Balochistan police, in a bid to destroy any available evidence, have removed three of the bodies of the five women who were buried alive in Baba Kot, Jafferabad. (For details please refer to the AHRC Urgent Appeal: PAKISTAN: Five women buried alive, allegedly by the brother of a minister. The women, including three young girls between 16 – 18 years-of-age were buried alive after being shot because the three younger girls wanted to marry persons of their own choice. The bodies were finally recovered on September 2, 2008. Baba Kot, is a remote village 80 kilometers away from Usta Mohammad city of Jafferabad district. 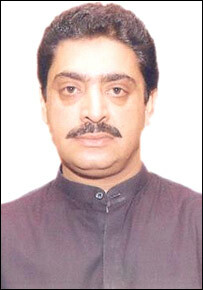 The Asian Human Rights Commission (AHRC) reports that it is here that Abdul Sattar Umrani, a brother of Sadiq Umrani, a serving PPP provincial minister, came with more than six persons and abducted five women at gun point. They were taken in a Land Cruiser jeep, bearing a registration number plate of the Balochistan government, to another remote area, Nau Abadi, in the vicinity of Baba Kot. After reaching the deserted area of Nau Abadi, Abdul Sattar Umrani and his six companions took the three younger women out of the jeep and beat them before allegedly opening fire with their guns. The girls were seriously injured but were still alive at that moment. Sattar Umrani and his accomplices hurled them into a wide ditch and covered them with earth and stones. When the two older women protested and tried to stop the burial, the attackers were so angry that they also pushed them into the ditch and buried them alive. After completing the burial, they fired several shots into to the air so that no one would come close. The incident took place one month back but the case has still not been registered by police. When the AHRC contacted elder brother Sadiq Umrani, (a provincial PPP minister) he confirmed the incident but insisted that only three women had been killed by unknown persons.